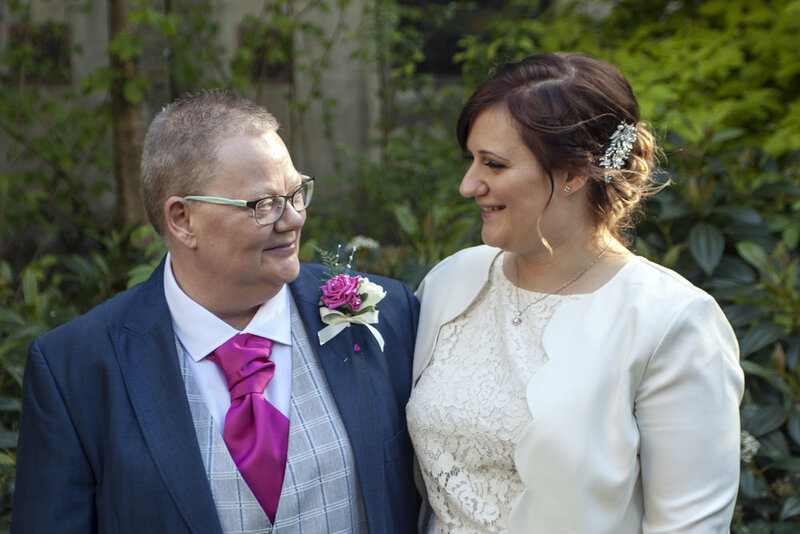 Sally and Jaime tied the knot in a beautiful, intimate ceremony at Rugby Registration Office on a sunny Sunday afternoon in May. 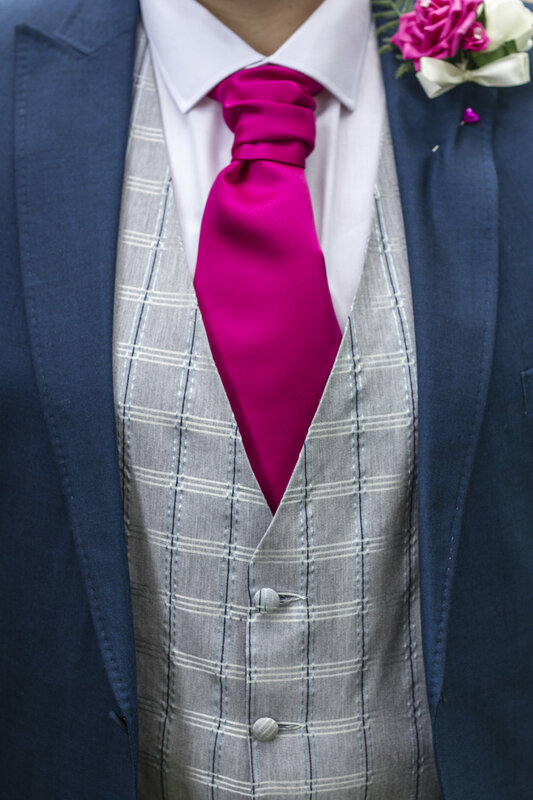 The couple wore matching Marks and Spencer cufflinks and blue and grey suits and matching black shoes from the Wedding Barn in Ufton, finished off beautifully with fuschia coloured carnation button holes by Sue's Flowers of York: https://www.suesflowersofyork.co.uk/. Sue's flowers of York also created the centrepiece for the table at the Restaurant where the couple had their Wedding Breakfast; the Sarah Mansfield Country Pub in Willey, nr Lutterworth. 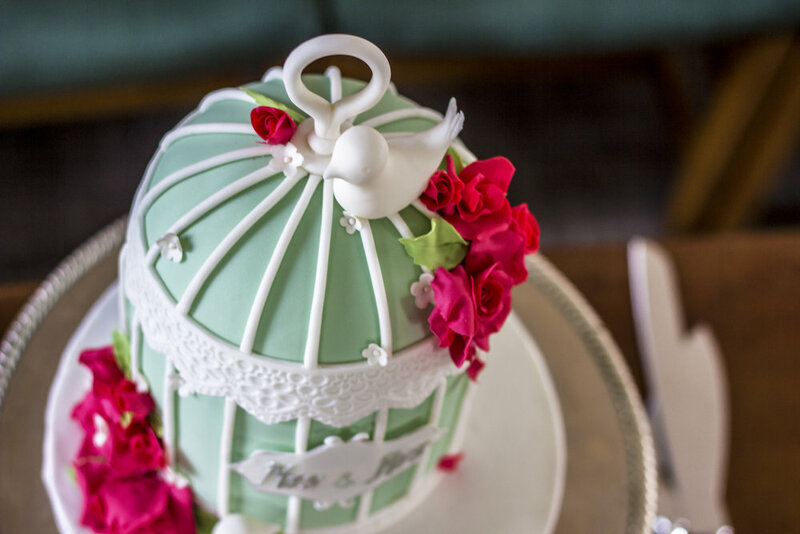 The beautiful Wedding Cake was made by Taste That Cake in Letchworth: http://tastethatcake.co.uk/ and the ring box was made especially for Jaime and Sally by Victoria Lewis @creativebridalwedding. Tammy Jones sang in a private performance for the couple and this was followed by a series of personal readings from family members. After the ceremony we moved to the Registry gardens for the group shots and portraits. 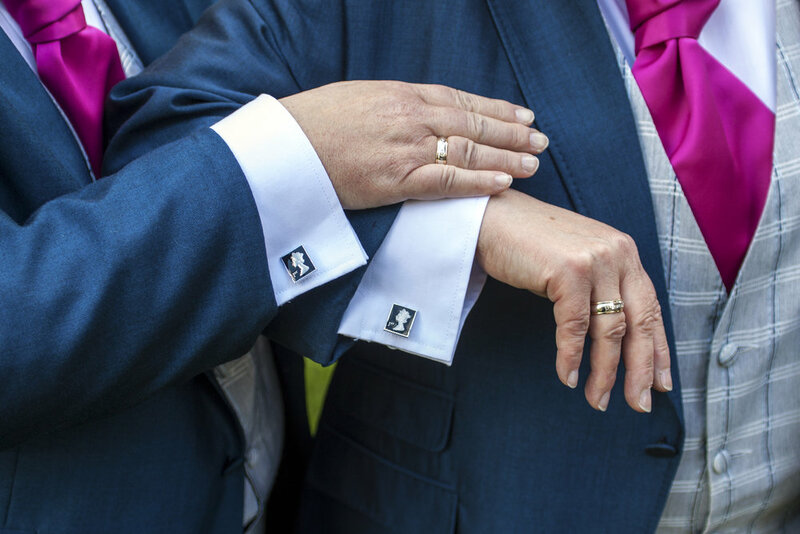 The following week, the couple celebrated further and travelled to Mexico for a blessing in front of Family and Friends. 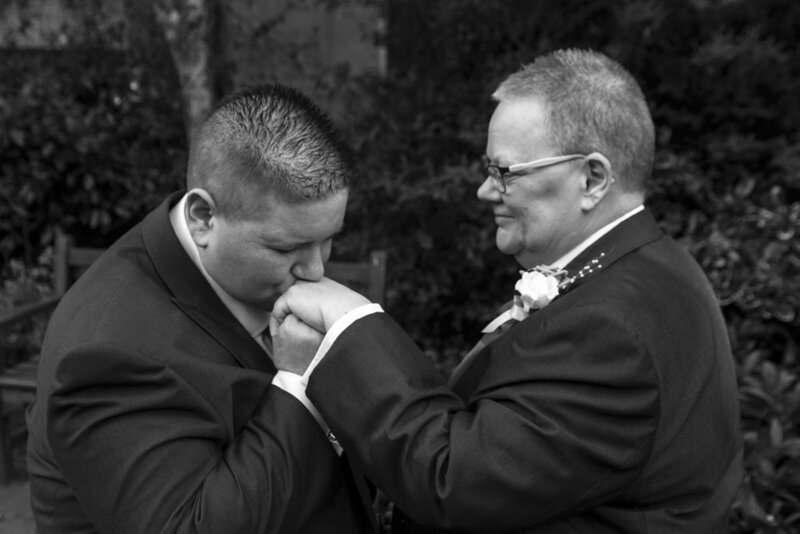 Jaime and Sally's special day was a gorgeous, personal and love filled celebration of their 13 years together! Thank you so much for asking us to capture it for you!